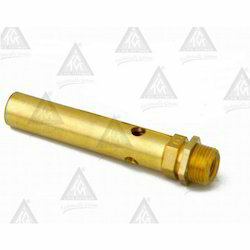 As a trustworthy entity, we have affianced in providing a quality range of Pilot Burner. 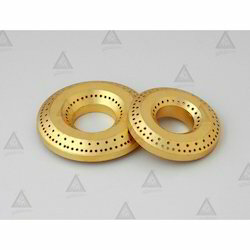 Finding application in different industries, this burner is precisely manufactured under the strict supervision of our ingenious professionals using quality-tested brass metal and progressive techniques. Widely used to fulfill needs of various commercial appliances, this burner is highly cherished by clients. The provided burner is tested by quality professionals before final delivery at clients’ end. Fostered with immense years of expertise, we have been able to provide the quality assured gamut of Pilot Burners. These burners are manufactured by our adroit professionals using the finest quality metals and highly advanced techniques. These burners find applications in various chemical, automotive, electrical and related industries. Apart from this, the offered burners can be easily availed from us at marginal rates from us. Since our establishment in 1991, we have aimed to reach on top of the industry by manufacturing and exporting high grade Brass Lpg Burner Top. 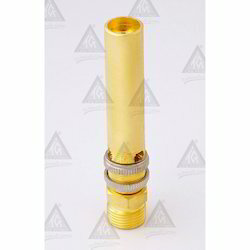 The burner top is made from using high quality brass, procured from reliable vendors. Clients can obtain our burner tops in different sizes and finishing as per their requirements. We coat Brass Lpg Burner Top with anti corrosive materials and offer to clients at the affordable prices.